We would like to express many thanks to Black Tie for such a great job. 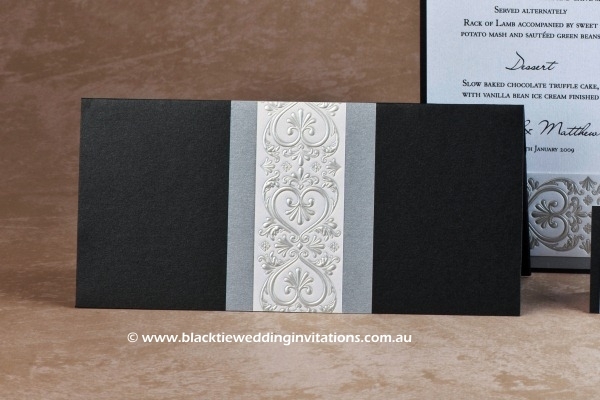 The wedding invitations are very beautiful and gorgeous. Please accept our compliments regarding your services and products. Thanks a lot for your professional manner, your always prompt responses and excellent quality product! We will keep in touch for sure! Thank you very much! You have done an amazing job. The invitations and place cards were so beautiful. I have had so many comments. You were an absolute pleasure to deal with, always prompt and nothing was too much trouble. 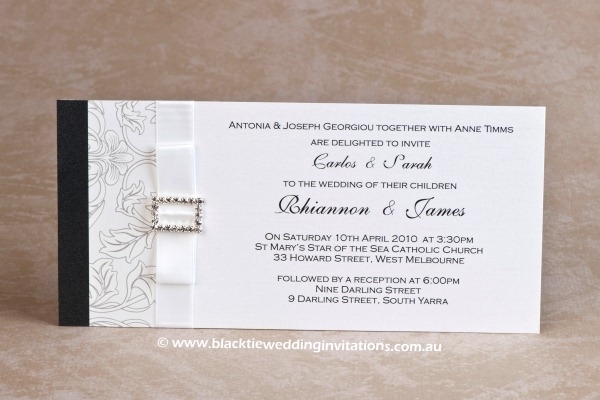 I will highly recommend you to anyone looking for invitations in the future. Thanks again. We have had so many compliments about them.They just added that touch of class. Trish and I posted out our invitations yesterday. 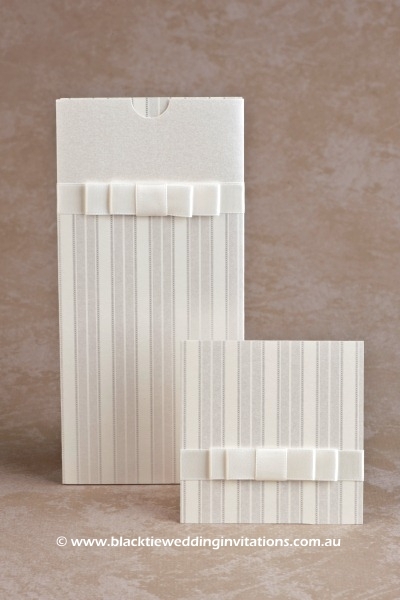 We are very very pleased with the invitations and want to thank you for your professional manner and quality product. 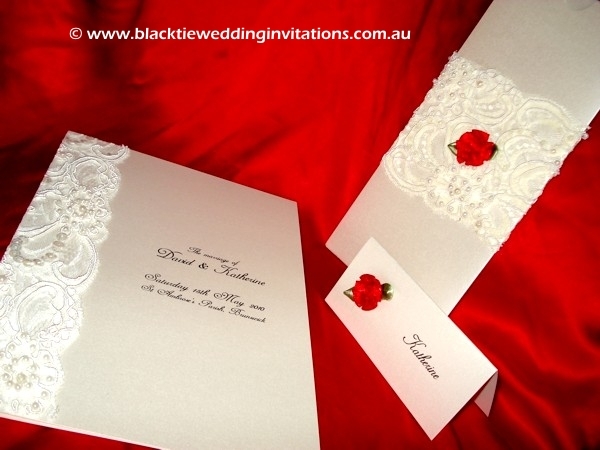 We would like to say a huge thank you for the stunning invitations which you provided us. Everyone commented on them, even people who would never usually take much notice. The service and products you provided were second to none. I would not hestitate to recommend you to anyone who wants exceptional stationery. 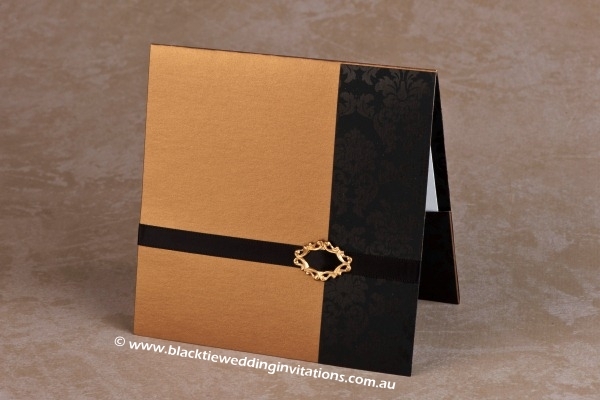 I just wanted to thank you very much for your help with creating our wedding stationery. I have spread the word to other brides-to-be about how fantastic you are with your quality of work and customer care! Thank you once again for making this part of our wedding arrangements hassel free and providing us with such a wonderful end product! 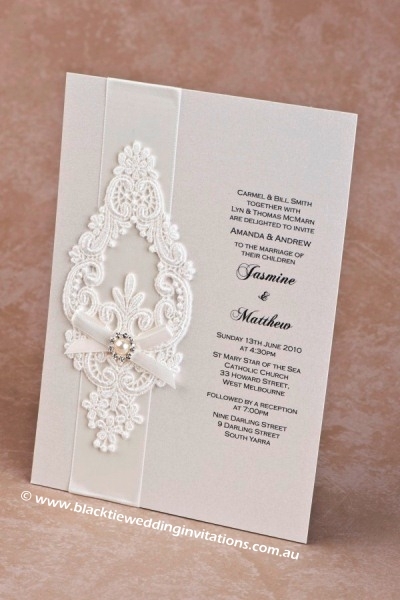 Thank you so much for the gorgeous wedding stationery. 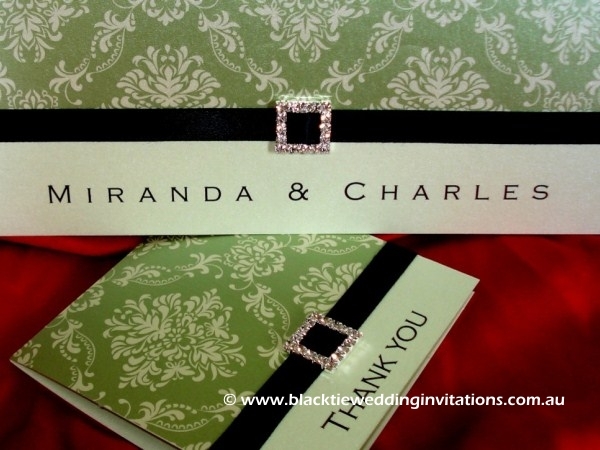 The invitations are fantastic and everyone commented on how beautiful they are!!!! Thanks again for all your help along the way too. Thank you so much for the invitations. They are perfect. We love them. I am so pleased that we decided to use Black Tie. No query was too big or small for you to deal with and you have been fantastic! The only complaint I have is that you are not in the UK!! 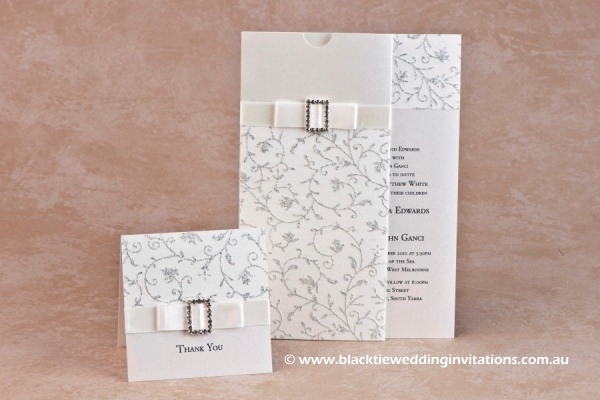 We are so happy with the quality of your service and cannot wait to send our invitations to our guests! Thank you so much for the stunning wedding stationery you prepared for us and for the excellent client service you have provided. 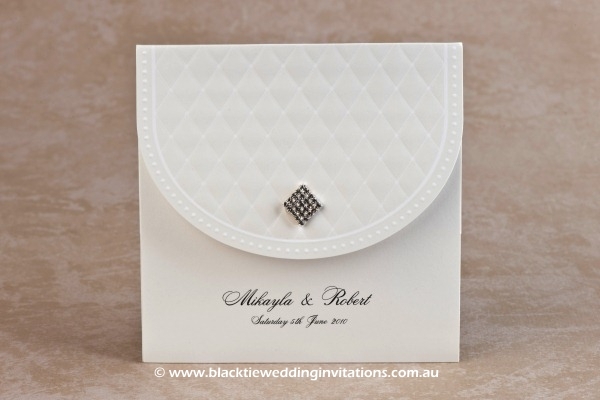 I have received so many compliments on all the stationery you prepared – from the invitations to the place cards and the order of service booklet covers. The finishing touches were exquisite and really assisted in setting the elegant scene we sought to create for our wedding. Rest assured I will have no hesitation in recommending you to family and friends in the future. The invitations arrived today, they are beautiful! Thanks very much for the fast and professional service. 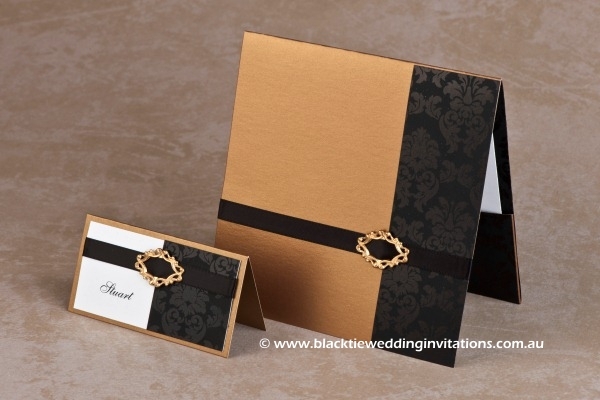 The invitations are exactly what we wanted, very classy and they match our theme perfectly. We will certainly recommend you to others. Thanks again.